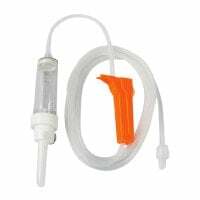 In the Infusion Sets category, we have collected a comprehensive selection of infusion sets for veterinary infusion therapy. 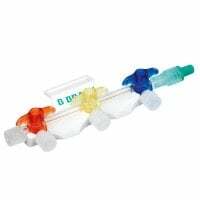 Whether you need infusion sets for small animals, three-way stopcocks or pressure infusion cuffs, Praxisdienst offers you the proper infusion accessories for every infusion. 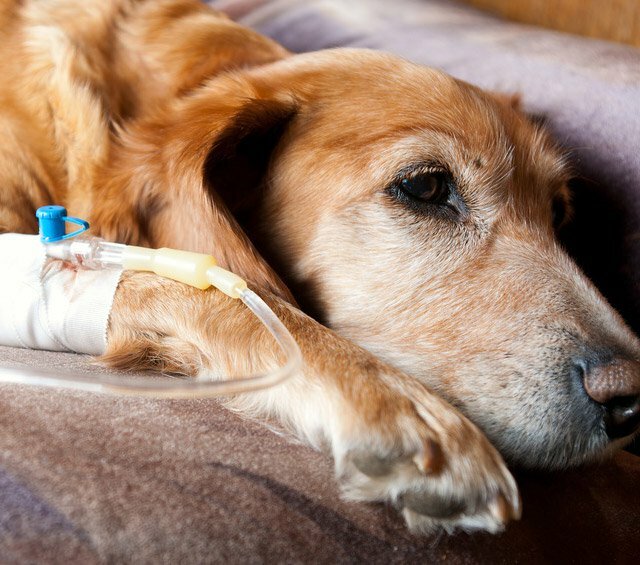 Infusion therapy plays an important role in veterinary medicine and comes into use for the most diverse illnesses. 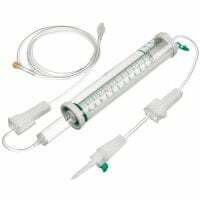 Whether for dehydration, shock or a chronic disease, infusion therapy is an easy and very effective procedure. During the infusion, liquid (usually in the form of NaCl solution, but can include medications if necessary) is injected into the organism. 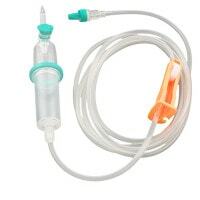 For the infusion, a bottle of infusion solution is connected with an infusion set to which a cannula is attached. This set up allows for the controlled administration over a specific time frame. 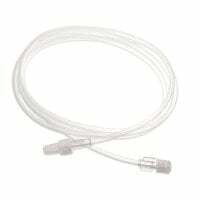 Infusion sets are equipped with a roll clamp or an infusion regulator with which the speed of the infusion can be easily set. 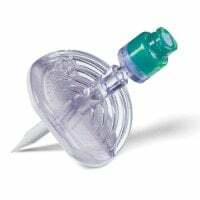 Infusion sets are single-use products that are discarded after use; thus, effectively sinking the risk of infectious transmissions. 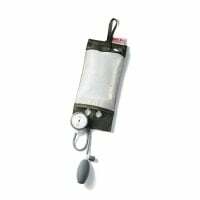 Depending on whether a gravity infusion or a pressure infusion is to be administered, different infusion sets come into use. Depending on the size of the animal, different infusion systems come into use. 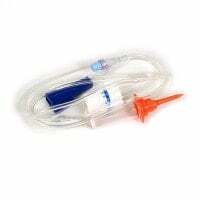 Sometimes, infusion sets from human medicine can be used, although there are also special infusion sets for veterinary medicine. 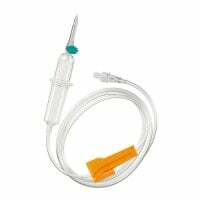 These differ in the length of the infusion line, the presence of additional injection ports or coupling possibilities for tube sequences, among other things. 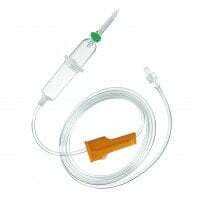 The basic construction of an infusion set for human and veterinary medicine is the same. 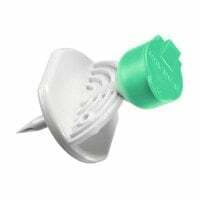 An infusion set always consists of a puncture tip for the infusion solution, a drip chamber with a pump chamber, an infusion line, a roll clamp or infusion regulator and a cannula connector. 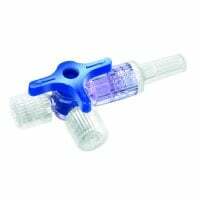 As opposed to a roll clamp, an infusion regulator allows one to precisely set the flow rate of the infusion set. Especially when it comes to small animals, like reptiles, puppies and kittens, the ability to exactly set the medication administration rate has great influence on the success of the treatment. 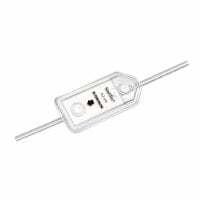 With Praxisdienst, you will find various infusion sets with infusion regulators that are ideal for infusion therapy in small animals. 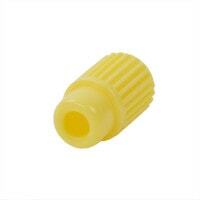 Often times, the environment or spatial conditions make necessary the use of infusion accessories. This is where a Heidelberg extension comes into use, e.g. when the infusion line is too short, the animal too large or too restless. 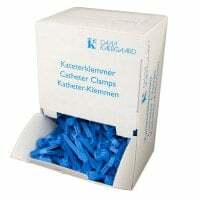 Three-way stopcocks are ideal for when an animal needs to be treated with multiple parallel infusions and an infusion filter prevents particles from getting into the bloodstream, should an infusion be contaminated with particles. 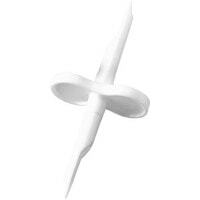 At Praxisdienst, you will find these and many other articles from the range of infusion accessories at affordable prices. 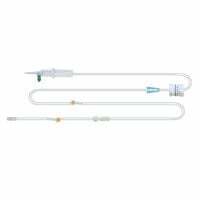 Praxisdienst offers you a comprehensive selection of infusion sets for veterinary medicine at affordable prices. 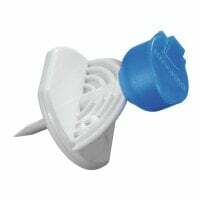 The individually sterile packed infusion sets can be used with all common intravenous catheters and butterfly needles and are compatible with all of the infusion bottles and bags available from Praxisdienst. 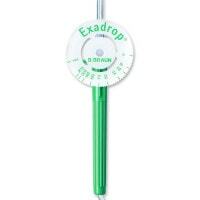 On most of the infusion systems that we offer, we also provide an attractive bulk discount. Stocking up is most definitely worth it. 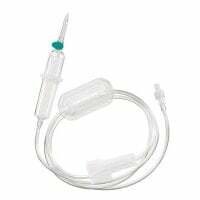 Do you have questions about our infusion sets, require a specific infusion set or are looking for the compatible infusion accessories? Our customer service will gladly advise you! You can reach us per telephone, email or via our practical live chat.